What are the Benefits of a PS Label? A pressure sensitive label (PSL) is a label that contains a special adhesive that makes it adhere securely to the surface of a product when the proper amount of pressure is applied. PSLs are perhaps the most common types of labels found on consumer products today, and there are several reasons why. 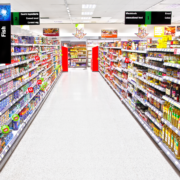 If your company or organization needs a new product labeling solution, PSLs should be high on its list of considerations for the following four reasons, among others. When combined with a sufficiently strong adhesive, the thin, tough consistency of high-grade PSLs allows them to adhere to various types of package contours, from low-degree curves to high-degree angles. As every packaged product producer knows, the visual attractiveness of a product has more to do than with how it appears on the shelf. The package must also remain attractive after the product is purchased, and a well-executed PS label helps it to remain so. 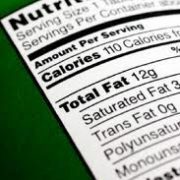 So-called “no label” PSLs feature a transparent design that often contains the name of the product and a few pieces of important, supporting information on an otherwise clear label. These types of labels tend to be common on cosmetics in order to help prospective customers observe the color of the cosmetic they might purchase. No label PSLs are a great option for products whose contents create a strong, visual appeal that is worth showcasing to buyers. Another great benefit to using a PS label is the low minimums and low start up costs. Press sensitive labels are using to use right “out of the box”, and don’t require the long setup times of gluing applications. PS labels can be applied easily by hand and easily through auto application machines. Most PSLs come standard with high-performance adhesive that prevents them from slipping, wrinkling, bubbling, etc. while the product that contains the PS label is used or stored. Yet, there is also the option to have a performance adhesive specially formulated to address unusual conditions in the environments where labeled containers are used and stored. Such conditions may include unusual temperatures, unusual moisture levels, and fast evaporating solvents. PSLs are used to label a broad array of business-to-consumer (B2C) products and business-to-business (B2B) products, such as pharmacy bottles, drink containers, food canisters, industrial solvents, ink reservoirs, and the list goes on. If your company or organization needs PSLs for some of the products that it sells or purchases, Flexo-Graphics will supply you with the quality labels that you expect to receive from a professional label supplier. For more information about our services, call us today at (262) 790-2740. We look forward to providing you with our best in class PS label solutions! https://flexo-graphics.com/wp-content/uploads/label-products.png 543 750 fgadmin /wp-content/uploads/flexologoOLG.jpeg fgadmin2015-11-24 09:37:092017-04-21 16:38:36What are the Benefits of a PS Label? While this seems pretty straight forward, a lot of work goes into flexographic printing. Once the design is prepared, the plate needs to be created either by molding, laser etching, or exposure to ultra-violet light. It is then mounted or installed on a cylinder that is inserted into the press. As the substrate passes through the press, ink is applied to this plate through tiny cups, which hold the precise amount of ink to be deposited on the stock or substrate. Flexography is used in large-scale production scenarios because it offers increased versatility and adaptability. Flexo printing presses allow for unique printing traits like two sided printing and laminating multiple substrates together to create booklet labels and instant rebate labels. Digital printing is an alternative option that has risen in popularity for short-run high-end graphic jobs, and suppliers who offer both, are positioned to fully execute any size label program. 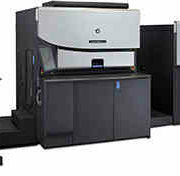 Currently flexography stills holds the number one spot for larger label printing count needs. What Advantages Do You Gain? Flexographic printing has opened new doors when it comes to printing on various forms of stock or materials. The advance of high definition flexo plates, has taken the quality to the highest levels. The technology is capable of printing continuous patterns, does not require mid-job recalculations, and delivers the best durability for consumer products. At Flexo-Graphics, we offer both flexographic and digital printing services to ensure you get the perfect results. Our experienced team will help you choose the right method and materials for your specific needs. Short Run Flexible Packaging: How Does It Help You Bring Products to Market Faster? Flexible packaging is more than a trend when it comes to marketing products. Bags, wraps, pouches, stick packs, and other items consist of this type of packaging, which is made from film, foil, or paper sheets. When these substrates are filled or sealed, they have a pliable shape. The form of packaging is frequently seen in the food industry as well as for some medical and consumer products. Short run flexible packaging is now being offered as an option for gaining lower counts in less time. Digital printing allows companies to move their products to market faster through shorter runs. The growth of flexible packaging has primarily been due to economy changes and a direct need to have alternatives to typical rigid designs. It has been possible thanks to factors like technology changes, reduced materials consumption, and material advancements. While the printing process has been traditionally dominated by flexography, new technology options are making digital printing a plausible alternative for custom packaging. How Can Digital Printing Help? Impeccable Creative and Print – The method provides increased consistency and vibrant colors. Digital presses have incredible color registration, with limited trapping requirements. Digital color palettes have grown substantially over the past decade, and producing color matches are done with ease. Furthermore digital print allows for database driven packaging with custom text, images, or codes on each unit. Tackle Obsolescence– Especially with new products, digital workflow allows you to print lower quantity values without having the need to offset high fixed costs. Produce what you need, not what you need to cover high set up costs with other processes. SKU Proliferation – Having the ability to produce short runs digitally delivers a chance to make sudden design changes at a low cost. More and more brands are making more variations of their products, and the digital workflow fits the bill for this trend. Grean and Lean – Digital print methods allow companies, like Flexo-Graphics, to operation with significant lower waste in their manufacturing stream, which results in lower overall print costs. Furthermore, the ability to print lower quantities (cost effectively), reduces the need to warehouse products and cost and space associated with it. These are just a few of the advantages offered by short run flexible packaging. With a fight for consumer attention, consumer product companies are searching for ways to stand out quicker. At Flexo-Graphics, we offer both flexographic and digital printing services backed by over 30 years of experience. Our goal is to deliver a dependable range of branding, security, and identification options with to ensure you get the right features for a well-branded product. https://flexo-graphics.com/wp-content/uploads/short-run-flexible-packaging.jpg 176 450 fgadmin /wp-content/uploads/flexologoOLG.jpeg fgadmin2015-11-03 09:01:352017-04-21 16:39:59Short Run Flexible Packaging: How Does It Help You Bring Products to Market Faster?